Will Parrinello has made award-winning films for theatrical distribution, television, and home video. His credits include Dreaming of Tibet, an intimate portrait of three Tibetan exiles, which received an Audience Award at the Amnesty International Film Festival. His series Global Focus: The New Environmentalists, narrated by Robert Redford, profiles international grass roots activists and received the Sol d' Or Award at the 2005 Catalan International Environmental Film Festival. He was honored by the Chicago International Film Festival with a Gold Hugo Award for Little Italy, an affectionate exploration of Italian American identity. Parrinello co-produced and edited the feature length documentary Kerouac. This profile of the beat generation author was broadcast on PBS, A&E, and The Learning Channel and played theatrically in every major U.S. market. He shot and edited In The Light of Reverence, a film about Native American sacred lands, which was the top rated program in POV's 2001 summer season. 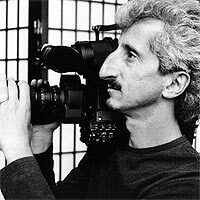 Parrinello was a director of photography on the Academy Award nominated documentary Tell The Truth & Run: George Seldes and The American Press.